Are you concerned about getting started as an investor? You know that you need to invest if you want to build wealth over time. But do you have the tools you need to start investing? Stuart Ritter, VP of T. Rowe Price Investment Services, talks to us about how simple it can be to start investing, and what you can do to begin building wealth today. 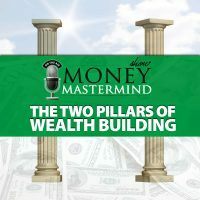 ANNOUNCER: Welcome to the Money Mastermind Show. Let’s Talk Money. [0:00:18] MM: Welcome to this week’s episode of the Money Mastermind Show. This week we have Stuart Ritter. He is a senior financial planner with T. Rowe Price, did I get that all right? [0:00:31] MM: Welcome to the show Stuart. [0:00:33] SR: Thank you for having me. [0:00:34] MM: The members of the Money Mastermind Show, our panel are Peter Anderson from Bible Money Matters and Tom Drake from Canadian Finance Blog. Our usual moderator Glen Craig from Free from Broke is not here today and Kyle Prevost from youngandthrifty.ca was unable to make it as well. So we’re kind of running with a skeleton crew but it’s going to be fun anyway, right? [0:01:02] SR: We’ll make it happen. [0:01:04] MM: All right, so one of the things that many people worry about is investing. Many of us know that we should be investing whether it’s investing in a retirement fund or investing in something else. We know that we should be investing but it seems really hard to get started. So in your experience Stuart, what are some of the reasons that people have a hard time? What’s holding people back from getting started with investing? [0:01:32] SR: There could be a couple of things. One is the misconception that it’s somehow complicated when in reality, it’s pretty straight forward. Another one could be people aren’t sure where to start and thirdly, a lot of people will often let perfect be the enemy of the good. They are so worried they are not picking exactly the right thing that they’re supposed to do that they end up doing nothing and it’s much better to get started sooner, get things going. That gets you the opportunity to start learning a little bit by taking advantage of the potential compound that you can get by having started earlier. [0:02:08] MM: So one of the things that you mentioned was stock picking and worrying about picking just the right stock. So I’m an indexer, I’m a huge fan of indexing, do you think that maybe getting started, perhaps stock picking isn’t the way to go? Maybe you should try indexing? [0:02:27] SR: If you’re getting started make it as simple for yourself as you possibly can. The example I always use is, there are people who really want to get into the gear ratios of their transmission. The rest of us normal people don’t care how the darn thing works, we just want to drive. So there are investments you can use that are the automatic transmission of investing. You pick one mutual fund, it gives you a collection of stocks and that gets you started. It’s much simpler than trying to do the whole all by yourself right from the beginning. [0:03:00] MM: Yeah, so what about you Peter? Why don’t you tell us a little bit about how you invest? What is your investing style? How do you get started? How do you make it easier? [0:03:09] PA: Like you, I am also an indexer. I prefer to just keep things simple and get into an index fund. I’ve still got pretty good time horizon for how long I’m going to be investing. So I’m going to be one of those people that’s not going to try to beat the market and pick individual stocks and that type of thing. I’m invested in a few couple different index funds. I’ve got it set, my asset allocation, based on my age and a couple of things and I’m just going from there. So keeping it simple. 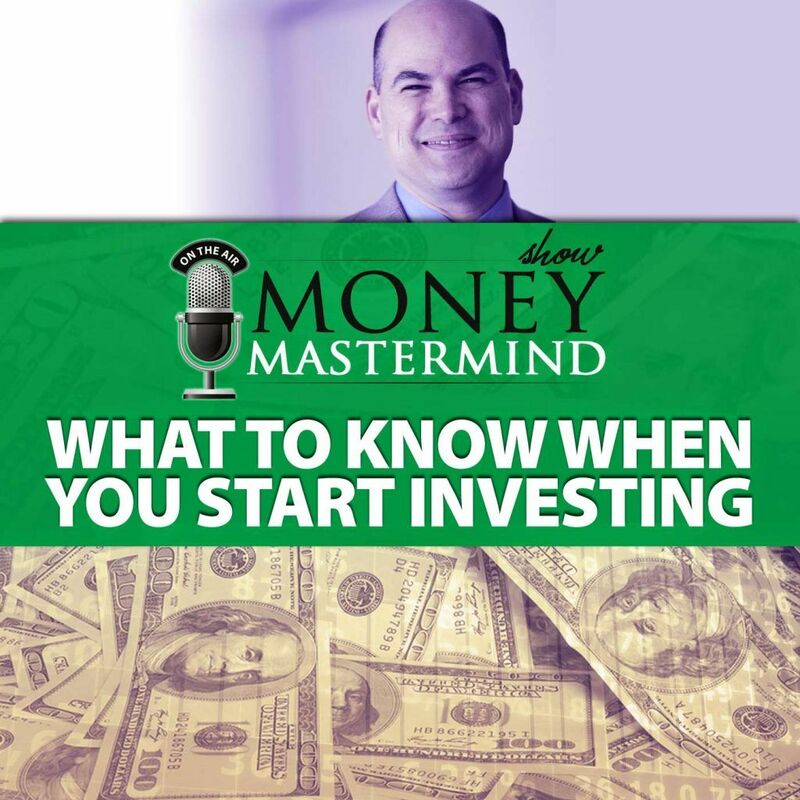 I’m smart enough to know what I don’t know and what I don’t want to get involved with and I really don’t want to get too deep into the details and into the weeds with investing. So for me doing the index fund investing is perfect. [0:03:57] MM: And what about you Tom? Where are you at and what are your options out there in Canada? [0:04:03] TD: Pretty similar. I am big on ETF’s but there’s one area where I do go into individual stocks and that being in Canada, we just don’t have as many companies so you don’t necessarily need to own a lot of different stocks to actually come pretty close to some of the indexes. We’ve got five major banks, four different real estate investment trusts almost makes up the entire index for that. Some of the things you can buy the individual stocks then and save on the expense ratio but otherwise, I do all ETF’s. What’s the difference there between the mutual fund and the ETF and what are some of the pitfalls of being able to just maybe trade an ETF like you could a stock? I mean I love ETF’s too. I am with Tom, I’m all about the ETF but I can see where it could be problematic. [0:05:11] SR: We’re talking about lots of different tools that ultimately get people to the same place. Let me piggyback on something Peter said earlier about having a long time horizon. Let’s say someone wants to get started investing for retirement. The most important decision you make is how much you have in stocks, how much you have in bonds and how much you have in short term investments. So if you’ve got that longtime horizon, you want the collection of stocks. Now whether that comes from something you mentioned earlier, a retirement fund that gives you the collection all at once, whether you assemble your own portfolio of ETF’s, what’s far more important is to make sure that A, you’ve gotten started, B, you’re saving the right amount and then C, that you got the right asset allocation. You’ve got the right amount in stocks, which is when you’re younger and saving for retirement, probably going to be all of it. Nail those pieces and you’re well on your way to getting to that retirement you’re looking for. The last piece being diversification. You want different kinds of stocks. Large companies, small companies, well, I was going to say international companies but I guess that depends on what nation you’re starting from. But you want companies from all over the world, and how you put that collection together, that’s up to your individual situation which is a conversation we’ve been having. [0:06:33] MM: Right, so what do you think then about one of the things that makes investing a little bit easier is the robo-advisers and that’s kind of big. I personally use one myself. I investment in Betterment, but I know that there are plenty of other robo-advisers out there and it works for me because I am a set it and forget it kind of person and I just want to throw the money in and move on. But that doesn’t always work for everybody. So how do you know when is the right time to use a robo-adviser and when is the right time to go to somebody like yourself and do some professional financial planning to get your investment plan together? [0:07:14] SR: A lot of it depends on how involved you want to be personally on this. You mentioned setting it and forgetting it, at the same time I’m going to guess you’re probably a little more engaged with your investing than the average person out there. So some people — I’ll go back to my transmission analogy — some people want to drive a manual transmission car. Something like as you mentioned, a retirement date fund, “Or I’m going to get somebody to help me or I’m going to go to a robo adviser.” You make that decision based on how involved you want to be and not just now, we have a lot of people with a lot of enthusiasm in the beginning to get started but we’re all living busy lives and it may not be something you want to pay attention to every single quarter. That might lead you to take an approach that does a lot of it for you instead of requiring you to staying. [0:08:25] MM: Tom, what made you feel a little bit more comfortable with investing when you start? We’re you a little bit worried about it? What made you get over maybe a little bit of nervousness before you started? [0:08:42] TD: I think it’s really intimidating because you hear these stories people making millions on penny stocks or you see these stock brokers in movies and everything. It always just seems like something you can’t do but so yeah, I took it really slowly. I started with a mutual fund that really wasn’t a great mutual fund to begin with it’s just through my bank. Then once I got rid of that here in Canada, I went to an index fund called TDE series funds, which can be a little complicated to get into but for any sort of mutual fund in Canada, it’s pretty much the best expense ratio you’re going to get. So it was a complicated process for sure but much easier than what you’d think just watching movies and everything. [0:09:29] MM: Nice, what about you Peter? What was your first introduction into investing and just getting started and feeling more comfortable with it? [0:09:37] PA: I think my first investing experience was investing with my company’s 401(k) when I first started working out of college. The company that I was working for, they just had a company 401(k) and they said, “Hey, we suggest you start putting money in there. It’s a good idea to do this.” I later found out that the plan they were on was not a very good plan. It was kind of an annuity type strange thing that really wasn’t that great but it did get me thinking about investing and from there, I didn’t know a whole lot about it at the time but I took that opportunity to start learning more about these types of things, maybe reading a few books here and there. I’ve read John Bogle’s, Little book of Common Sense Investing along with a bunch of other books as well. I just started educating myself and really, that can be one of the key things that you do when you’re first getting started is taking away some of the mystery behind investing and just realizing that it isn’t this crazy mystical thing that only certain people can do. It’s something that everybody can do. [0:10:43] MM: Yeah and I think that’s a good point. I like what you said about you just started and you got started and then you found out later that maybe it wasn’t your best option and that happened to me as well when I first opened my IRA. I did it through my insurance agent and I bet you can guess what the administrative fees on that were. That got me going, “Oh, well I can still make money even if the market is down? And it got me really thinking about it and that’s how I started as well trying to get comfortable about it. I want to kind of circle back to what Stuart said earlier about a long time horizon and compounding interest and if you could talk about that a little more Stuart? And explain how that can help people feel better about investing if they focus on that long term because part of I think the fear everybody gets is they’re always getting this message of short term volatility and what is the market doing today and so if you could talk a little bit more about that Stuart, about long term and compounding interest, that would be great. [0:12:17] SR: Absolutely and I’m glad you brought that up. What people hear, primarily especially when the market is going down, it’s that short term market volatility, “Oh my gosh people are losing money,” and lose sight of the fact that if you’re in your 20’s, if you’re in your 30’s, if you’re in your 40’s and you’re saving for retirement, we are talking about decades before you are spending this money. So it’s important to focus on the time it is until you’ll start spending the money and then the time period over which you’ll be spending it. You hit 65, 67, you’re not spending all of your money on that day. So here is a way to think about it. Let me do an analogy and then some numbers and the analogy is, if you get on an airplane in New York and you’re going to San Diego, you look at the weather in San Diego and you pack a bathing suit and sunscreen. When you’re flying over Pennsylvania, it starts getting bumpy because it’s raining. You don’t say, “Oh my gosh, I don’t have an umbrella. I’ve got to go out of the airplane and go buy one,” because you’re not getting out. You wait until you get to San Diego. So if you’re in your 20’s or 30’s and you’re not using the money for 50 years and some bald guy on TV starts yelling about what the stock market is doing today, just remind yourself you’re not getting out of the airplane. When you look at the S&P 500, which is a collection, a list of 500 large US companies, if you look at the way those companies have performed since 1926, they have never had a negative 15 year period. So you look at every 15 year period since 1926 that includes the great depression that includes the things that your parents and grandparents talked about in the 70’s with gas lines and inflation. It’s the tech boom and bust, it’s the 2008 down turn, all of those every 15 year period has been positive. If you look at 30 year periods, the worst 30 year period since 1926 has been an average annual return of 8.5%. It’s as if you were in 8.5% every year for 30 years, and it was the worst that you did. So yeah, sometimes the headlines are screaming, “Oh my gosh, short term volatility,” but when you are saving for a long period of time historically, you’ve had wonderfully positive returns. [0:14:47] PA: Yeah, you talk about having the long time horizon and how it’s so important to get started investing when you’re young but I was reading a study of millennials and how they’re much more conservative investors that some previous generations and I was reading that many of them are saving cash and fixed income investments much higher than previous generations. In some surveys, between 40 and 75% of their holdings and I wonder if maybe they’re seeing the 2008 crash, they’ve seen their parents losing their homes and stuff like that when we have those downturns that really could have a damping effect on a lot of these people. They’re a little bit too conservative especially when they’re getting started. [0:15:36] SR: Absolutely and if you are not investing in stocks, then what you’ve done is taken some of that future potential growth out of your portfolio and that means you have to save more to make up for that growth that you’re not giving yourself a chance to get because you’re not in the stock market. [0:15:59] MM: Oh yeah, for sure and one of the things to consider as well, when you’re in these cash products, the problem that you run into of course is you could lose money because we’re talking about inflation here and a lot of the times, what you’re coming in is not going to be enough to help you beat inflation and that’s a real problem when you start moving up here because prices are always going to go up. They may not go up as fast as they did the year before like right now, we’re in a low inflation environment, but at some point, it’s going to start accelerating again and that gets rid of the spending power that you have and you really need to be aware of that. So what is one of the first things that somebody needs to do? Now somebody’s decided, “Okay, I’m not afraid of investing anymore. I’m ready to do these index fund thing. I’m going to try these crazy ETF’s that Tom is talking about.” What is the first thing that somebody needs to do if they want to get ready to begin investing and do they need to have a lot of money to do it? 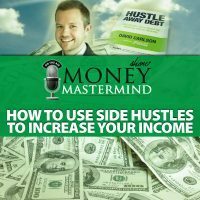 Do you need to have a lot of money to get started? [0:17:15] SR: Of course, that depends on what you mean by “a lot”. It depends on whether you’re opening up a regular account or a retirement account. Let me start with something that makes it really easy for people and it’s what Peter mentioned earlier and that’s if your employer offers a retirement plan. Then you can get started with just 10, 15% coming out of your paycheck. Now, if you’re doing it on your own and you want to save for retirement, then you are opening up something called an individual retirement arrangement, an IRA, and you can go to any financial institution pretty much, open an account. There are different minimums. Sometimes there are less if you contribute every month but we’re talking maybe in the thousands. You certainly in most cases don’t need more than that. So if people have the idea, “I’ve got to wait until I saved five or $10,000,” you can start way before that either through your employer’s plan which is money out of every paycheck or a couple hundred dollars, a few thousand or even less if you sign up to contribute every month to open up one of those IRA’s. [0:18:23] MM: Yeah and that’s one of the things, I remember when my brother was in high school I was jealous actually because when I was growing up in high school and everything, my parents didn’t know hardly anything about investing and mutual funds or anything like that. So I didn’t have this opportunity but my younger brothers, my parents were like, “Here, we can open up this account,” and actually, I think it was with T. Rowe Price. They said, “You could open up this account and you could put in 50 —” I don’t know if this is still true but you can but they each got their IRA’s with their first jobs in their teenage years and they only had to put in like 50, $75 a month and it was easy and they were teenagers and I was just sitting here going, “I’ve only just barely opened my own IRA,” what is going on here? [0:19:11] SR: Yeah, the most important thing you do is just get started. One of the themes that came through all of the stories that we’ve been hearing about, the first time we invested, we all talked about looking back and saying, “Well, that may not have been the best thing” but you started. You have way more money in there that’s somebody that saved nothing and you learned about it on the way and improved from there. And then improvement can only start after you’ve begun the process. [0:19:39] MM: Yeah and that’s so true and it’s great to know that you can do it with a small amount of money as well, as little as $50 a month. So we’ll go ahead and wrap up here. We like to do this thing called “the final word”. So we’re going to go around and ask each of our panelist for their final word on getting started in investing. Let’s start with you Tom, what is your final word? [0:20:03] TD: Well I just really wanted to add to today is the couple of things that I mentioned earlier related to how much it cost to start. With the E-series funds, you need a $100 per fund but you really need three to four funds for it to be a balanced portfolio. So 300 to $400, you can get started here in Canada on a really cheap good index fund. [0:20:28] MM: All right great and what is your final word Peter? [0:20:32] PA: My final word is just get started as early as you can. I talked about my 401(k) that I started with and how it really wasn’t the greatest one. I had a ton of fees and all that kind of stuff but even that, those investments that I made back, way back then. It’s been a long time now, now that I think about it. That small amount of money that I put in right at the beginning has turned into tens of thousands of dollars overtime. So get started early. It doesn’t take a lot to get started like we talked about especially nowadays are a ton of financial products, the Betterments and Wealthfronts of the world and investment companies like T. Rowe Price and Vanguard and other companies as well that have some index funds that you can jump into for a $1,000, maybe a little bit more. So just get started. Start putting in as much as you can and let the wonders of compound interest do the work for you. [0:21:27] MM: That’s great and finally Stuart, why don’t you give us your final word and then tell us a little bit more about what you do and where our audience can find you? [0:21:37] SR: My final word would be to keep it simple. If you’re getting started, chose a fund like a target date fund, retirement date fund, they go by a couple of names but you can start with just one mutual fund that’s a collection of all the investments that might be appropriate for your goal and from that core, if you want to then start branching out into specific ETF’s or funds that focus on just one index or individual securities, then you’ve got that base that you can build on to add those things in but at the very beginning, keep it simple. Get yourself started, as Peter said, and go from there. Companies that we’ve talked about that is obviously willing to help you, T. Rowe Price will be one of them. Feel free to give me a call if you’d like. My direct number is 410-345-5225 and we’ll be happy to help you. [0:22:37] MM: All right, great. Well thank you so much for joining us and thank you everyone out there for watching and for listening and until next week, be good with your money. Good night. What makes someone a serial entrepreneur? Tips that can help you start a business. Sacrifices that come when you start businesses. Strategies for making your businesses work in a family setting. 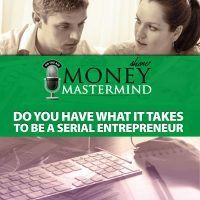 How to take the step from being a business owner to becoming a serial entrepreneur. Join us around the interwebs for more money-related goodness!